Back to the garage! This second supplement for GURPS Vehicles includes a truckload of new components and design options. Want to go faster? Add smart tracks to your tanks, X-wing rotors to your helicopters, or grav drives and tachyon sails to your starships. Under attack? Protect your vehicle with collapsed-matter armor or a custom-designed force field. If high-tech isn't your cup of tea, Vehicles Expansion 2 also covers a warehouse of weird science and steampunk technologies suitable for anachronistic settings, from ether sails to perpetual-motion engines! 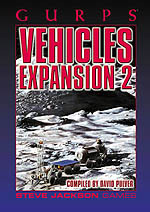 Vehicles Expansion 2 requires GURPS Basic Set, Third Edition and GURPS Vehicles, Second Edition. GURPS Vehicles – Your guide to any type of transportation you can imagine. GURPS Vehicles Lite – The 64-page stripped-down version of the vehicles rules system. GURPS Vehicle Builder – The official vehicle creation utility for GURPS Third Edition. 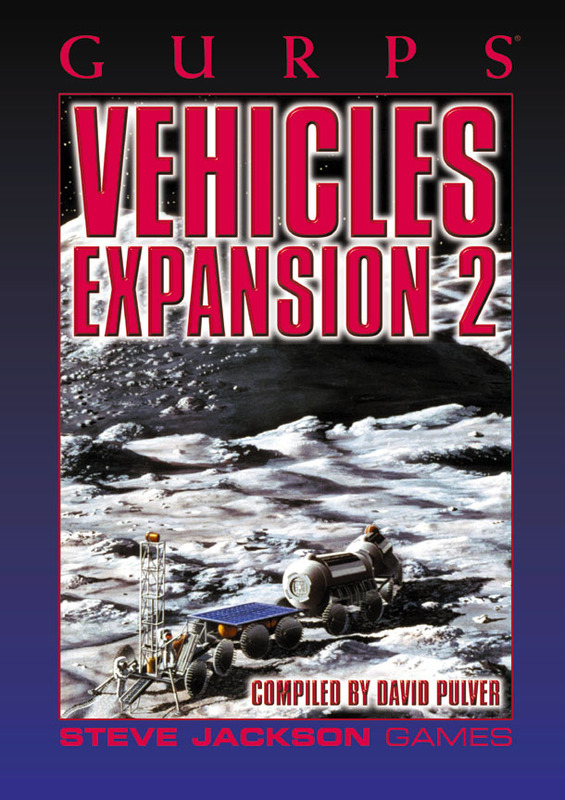 GURPS Vehicles Expansion 1 – More options for armor, powertrain, and dozens of others.